A co production partnership has been formed between culturalecology.info, International Classrooms On Line and the Bellamy Fund to promote rescuemissionplanetearth. People can interact to build an intergenerational global network for living sustainably with pictures and comments on Tumblr. A consumer society is a post-industrial term used to describe the fact that society is characterised more by what people consume and less by the jobs they do or goods they produce. As our relationship with consumerism has changed so too have the choices available of why, when, where and how we consume (Fig 1). Human consumerism is a major characteristic of the Anthropocene. The latter age is the latest in the history of life on planet Earth.. The Anthropocene comes either after or within the Holocene, the current geological epoch, which began approximately 10,000 years ago with the end of the last glacial period. The Anthropocene defines Earth’s most recent geological time period as being human-influenced, or anthropogenic, based on overwhelming global evidence that atmospheric, geological, hydrological, biospheric and other Earth system processes are now altered by humans adversely for the wellbeing of humans. The word combines the root “anthropo”, meaning “human” with the root “-cene”, the standard suffix for “epoch” in geologic time. These environmental problems of the Anthropocene are bound up with the detrimental impact of the growth of capitalism and the associated progress of technology. The invention of activities for living a secure life of plenty is a common biological imperative for the successful evolution of all creatures. However, in our now overcrowded world, human behaviours have to evolve in order to sustain resources once regarded as inexhaustible. Essential environmental services are now seen as being in limited supply and a brief age of plenty in Western countries is now receding to be replaced by an age of austerity. The first historical role of capitalism was to concentrate the previously scattered means of production into giant monopolistic firms; to establish an interconnected capitalist world market; to develop the means of production and thus lay the material basis for the creation of a society of superabundance. With reference to the age of plenty, Henry Hamilton’s book, ‘History of the Homeland’, was fourth in the series ‘Primers for the Age of Plenty which were’ published seven decades ago by Allen & Unwin and edited by the outstanding polymath,educationalist Lancelot Hogben. Hamilton’s decision to highlight the concept of ‘homeland’ is significant. It was appropriate to his broad cross disciplinary sweep of Britain’s economic history encompassing the age of mass production, which began in Great Britain during the 18th century. His emphasis was on the search for security of place, which could be achieved only through education that makes us alert to the social problems human beings are facing for the first time. 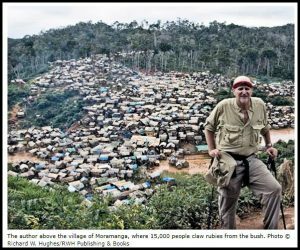 Capitalism leads to a significant loss of political, democratic, and economic power for the vast majority of the global human population. The reason for this is that capitalism creates very large concentrations of money and property in the hands of a relatively small minority of the global human population (the Elite or The Power Elite), leading to very large, and increasing, wealth and income inequalities between the elite and the majority of the population. 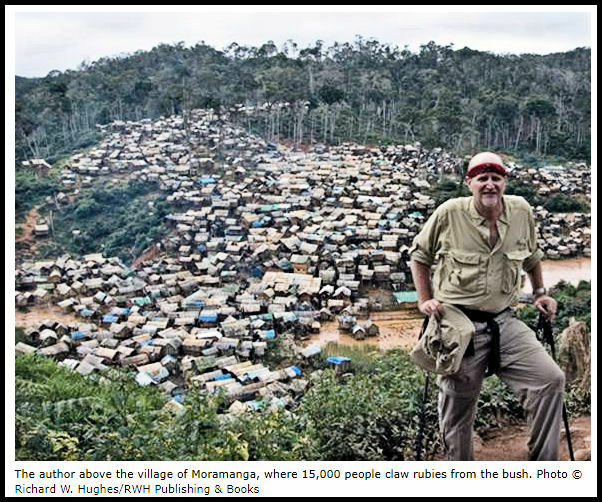 These economic inequalities have spread to the former colonised nations. To these woes we can now add environmental degradation and climate change. The European compartmented education system was designed to produce specialists for developing the mass production economy of nation states and their colonies, when no thought was given to the planet running short of resources. Hamilton believed that feeling secure in your industrialised homeland should be the practical goal of a ‘new holistic education’, which cuts across the old subject boundaries, to solve new problems that required the arts of multidisciplinary management applied to people and resources. This system would prize being human, being creative and engaging politically with society at the ground level. The needs to manage the inherited habitat by a recently evolved primate involved the application of human creativity to make ever more tools and develop production engineering. In this sense ‘engineering’ is an agent, instrument, or means of accomplishment. The art of engineering evolved early in primate stock. For example, it is a feature of nest production by Orang Utans, when they show great skills in choosing, bending and weaving large, flexible branches into a strong and comfortable nest scaffold. Starting from this pre-human base, the ‘progress’ of humanity to invent tools and engines to support the practical activities for living a life of plenty began to accelerate in the 15th century and has proceeded at an ever-increasing rate to the present. The Earth as a whole is approximately in a steady state. Neither the surface nor the mass of the earth is growing or shrinking; the inflow of radiant energy to the Earth is equal to the outflow; and material imports from space are roughly equal to exports (both negligible). None of this means that the earth is static, a great deal of qualitative change can happen inside a steady state, and certainly has happened on Earth. The most important change in recent times has been the enormous growth of one subsystem of the Earth, namely the human economy, relative to the total system, the ecosphere. This huge shift from an “empty” to a “full” planet, which in the developed world is currently proceeding at between 2 to 7 percent year on year, is truly “something new under the sun” as historian J. R. McNeil calls it in his book of that title. The important fact is that the closer the economy approaches the scale of the whole Earth the more it will have to conform to the closed cycle steady state behavioural mode of the Earth. Ecologists describe a closed cycle system as one that does not exchange matter with the outside world. Although the only truly closed-loop system may be the Earth itself, some industrial subsystems can approach closed loops, and the concept is useful as an ideal for assessing and inspiring improvements in industrial sustainability and domestic consumption. The question then that is central to the future of humanity is how do we persuade all people to adopt a steady state livelihood? First of all, the answer must be a cosmopolitan one because the problem of ever increasing consumption is a global phenomenon and no place on Earth is untouched by humanity’s ever increasing demands for more and more stuff. Second, human culture in all its diversity is the outcome of the capacity for conceptual thinking. Such thinking has to harness behaviour change to bring humanity into equilibrium with our planet’s steady state system. Third we have to create a new mass education system to bring this about. We live in a visually intensive society where visuality singles out, or makes, things which act as triggers to remind people of the rules, beliefs, etc by which their culture is organised. They act as a shorthand way to keep people aligned with economic realities. Many artists today are deeply committed to making work that addresses pressing social issues and changes the way we perceive the world. Art in its original context was seen as a broad activity through which people express particular ideas about humanity in time and place. 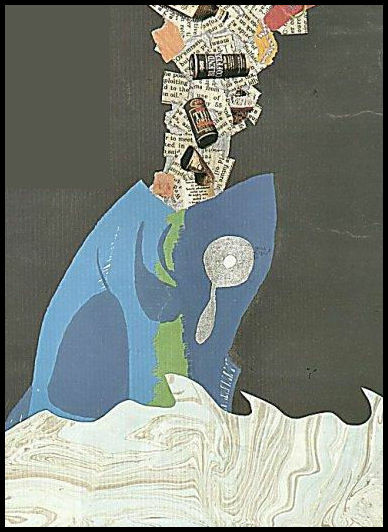 Pictorial art gives a powerful focus to these ideas. Holistic education passed on with the aid of artistic symbols and oral traditions was probably the goal of the first human primates. While anatomical fossil evidence for the capability of speech is controversial, the archaeological discoveries of purported cultural symbols coincides with a creative explosion in the making of many kinds of artefacts. Abstract designs scratched on mineral pigment appeared in Africa about 75,000 years ago and are widely accepted by archaeologists as evidence for the use of symbolism and language to reinforce ideas of individuals and peoples’ belonging to a place in nature. Cave art, which, in its style and execution, could have been produced yesterday, dates from about 35,000 years ago. From this point onward there is a growing variety of new types of tools that indicate a thoroughly modern capacity for novelty and invention in order to secure local natural resources. The history of images used for the purpose of mass persuasion is part of ancient history and reminds us of the human need to belong (Fig 2). Belongingness is the emotional need to be an accepted member of a group. Whether it is family, friends, co-workers, a religion, or something else, people tend to have an ‘inherent’ desire to belong and be an important part of something greater than themselves. Insofar as art is undoubtedly an outcome of the need for humans to communicate entities and ideas, it should be drawn into the domain of human ecological behaviour now expressed as living sustainably, which itself has become one of the most ambitious and fertile aspects of the 21st century thought. A model for modern mass persuasion is the intensive poster campaign that led thousands of ordinary men to volunteer for the British Army and be killed in their thousands fighting the First World War (Fig 3). “As we are to deal with meaning, let us begin with a paradigm viz. 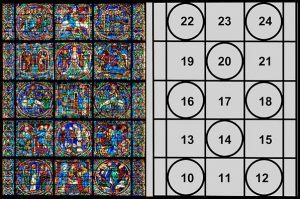 that sacred symbols function to synthesize a people’s ethos, (the tone, character and quality of their life, its moral and aesthetic style and mood) the picture they have of the way things in sheer actuality are, their most comprehensive ideas of order”. All seven items are concepts of conservation management in business and environment. They are pillars of the ethical propriety of contemporary cultural ecology and are capable of being expressed in the art of mass persuasion. As artistic symbols they represent a worldview of the social framework needed for humanity to survive ‘peak oil’ and maintain the movement towards a steady state global democracy. This cultural stance is needed for the transformation of people into a learning rather than consuming society, with less greed and more spirituality. It can be argued that cosmopolitanism is the philosophical trans global pillar for living sustainably. ·Generality–the special and equal moral status of all individuals has global force. Persons are units for everyone’s concern, which means you should not simply concern yourself with your own fellow compatriots in a more local sphere. In short, our moral responsibility spans across geographical boundaries. Environmental announcements of the Anthropocene do not merely describe. They also prescribe. Like any environmental matter of concern, the Anthropocene is already implicated in moral narratives about who is accountable and what is right. If humans are responsible for such widespread, potentially catastrophic changes to our biosphere, then surely we have a moral obligation to change our ways.Therefore there is a place for picture language in education for an age of austerity. The essence is to spread and reinforce care for the future survival of a biosphere where maintaining the human ecological niche equilibrates economic development, social equity and justice, with environmental protection. The mission is to ensure people can draw upon Earth’s continuing closed cycle ecological productivity way into the future. The invention of photography was a new way for people to build and form their identities. In particular, sharing visual icons with peers through social media is now an important part of identity formation and belonging to a particular group that crosses national boundaries. The widespread use of infographics and data visualisations on social media may lead us to think of them as something of a modern phenomenon. But the popular infographics we interpret, share, and create today have roots in much older scientific visualisation techniques and research communication efforts going back centuries. What is new is the ease with which individuals with a mobile phone can create and transmit photographs which can be ‘read’ by recipients. We all love visuals, and the statistical evidence is there to back it up. Pinterest is second only to FaceBook in driving referral traffic to websites. Also, tweets with photos get 35 percent more retweets on average. We all understand how language, written or spoken, can convey meaning but there is no obvious means of communication in a photograph. The journal Psychological Science published a study about the psychology of sharing which proved that evoking certain emotions can help increase the chance of a message being shared. Essentially, emotional stimuli activates the nervous system and boosts “social transmission.” Another study looked at what types of emotions evoked by content sparked sharing. Among the top ones were awe, amusement, inspiration, shock, fear and controversy. This illustrates why visual storytelling is a very effective social media technique. Visual storytelling involves images that resonate with people through emotional elements and relatable story arcs. Evoking an emotional response through imagery is what motivates sharing. 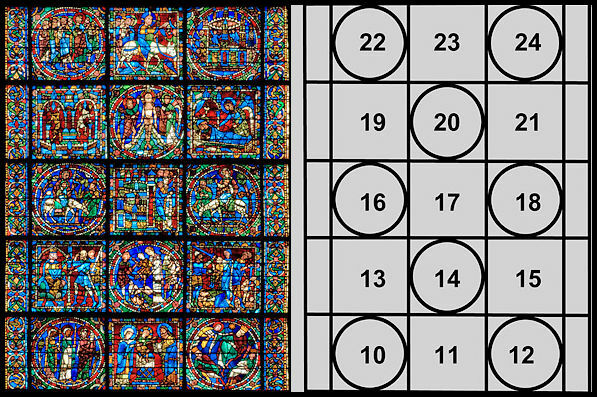 Our brains analyse what the eye sees instantly. The subject and story of a photograph must be identified quickly by the viewer. If the viewer can’t figure out what the subject is…. all interest is lost. in order to highlight these questions. Shortly after the first global environment summit of 1992 held in Rio de Janeiro, a group of young people gathered together at the UK headquarters of the educational charity Peace Child International. They were funded by the UN to produce a young people’s version of Agenda 21, which was entitled ‘Rescue Mission Planet Earth’. It was published on International Earth Day in 1994. This initiative was mounted in recognition that mass education for sustainability and resilience, starting at the primary level, was going to be essential for future generations to make the necessary behavioural changes for carrying forward the strategic management plan for human survival in peace, equity and wellbeing, endorsed by the world community. However, then, and now, the education systems of the West, which have been adopted by the developing nations, were designed for unlimited global economic expansion and therefore they contribute to unsustainable living. This happens through a lack of opportunity for learners in the classroom to question their own lifestyles and the systems and structures that promote those lifestyles. Their curriculum is designed to produce individuals to fit into modern society with consumerist and competitive values. The mismatch between education and reality also happens through reproducing unsustainable models and practices to promote economic growth. The recasting of world development, therefore, calls for the reorientation of education towards cross curricular systems thinking . The aim of Rescue Mission Planet Earth (RePE) was to create a self-learning network of young people as a force to conserve the planet’s resources, using the Agenda 21 and the controversies surrounding its adoption, particularly in the United States, as an educational framework to discuss the issues surrounding the concept of sustainable development. In Wales the RePE book stimulated teachers and students in the county of Dyfed to develop a practical scheme for harnessing the National Curriculum to meet the objectives of the Local Agenda 21. The scheme developed as an all-Wales bilingual programme named SCAN (Schools in Communities Agenda 21 Network) as a practical element within an online cross curricular educational framework called Cultural Ecology. If I was a child today. I’d be worried. If you think you can solve the problems we face by recycling a few cans, you’ll get to 2040 and find you’ve been duped. The world will be a mess because you won’t have dealt with the main problem which is the widening gap between rich and poor. The great challenge of the 21st century is to reduce your consumption or face war between rich and poor. “As we edited this book, we thought of the thousands of kids who have worked on it who’d like to be here with us now. We’ve read their summaries, seen their pictures and they’ve inspired us. We’d like kids everywhere to become a part of this Rescue Mission, to get access to leaders with their ideas and concerns. It cannot just be an elite. There’s only one way to do this in a fair way: to build a Global Democracy of Children”. The RePE group relied heavily on the report, ‘Our Common Future, produced by the World Commission on Environment and Development (1987). The Commissioners were serving a notice, an urgent notice based on the latest and best scientific evidence, that the time had come to take the decisions needed to secure the resources to sustain the coming generation. Their hope for the future was conditional on immediate and decisive political action now to begin managing environmental resources to ensure both sustainable human progress and human survival. There’s a much misinformation about what exactly Agenda 21 is – or more importantly isn’t. Put simply it is a broad voluntary and non-binding blueprint for sustainable development. The document very deliberately eschewed controversy. Nothing in this document compels a state, local and national government to do anything. It is not treaty and it has no force of law. 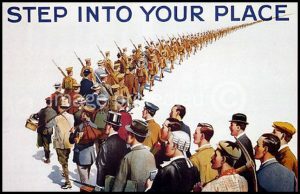 Although Agenda 21 is a proposed plan that is non-binding and cannot compel a government to act it is regarded by many (especially on the Left) as a collection of highly desirable ideals and ideas and as a violation of sovereignty, democracy, and human achievement by others (mainly the Right). This adds an extra debating dimension to RePE, because the politicization of Agenda 21, particularly in the United States, indicates how difficult it has been, and will be in the future to bring it universally into the mainstream of human development. There have even been calls for RePE to be banned in the US because it would pollute children’s minds, swamping the ideals of individual freedom enshrined in the American Constitution. The fact is that Agenda 21 has become a big issue with conspiratorialists. The claim is that this UN framework will lead to destruction of sovereignty for nations in the name of “sustainability.” The reality is this UN program simply has no teeth. Lots of localities are voluntarily joining this sustainability campaign because the world needs some sort of environmental direction. Nations and local places have the freedom to decide for themselves the path to be taken. Inequality measures drawn from standard household surveys underestimate income inequality by as much as 10 percentage points, due to the under–representation of the top 1% of incomes. 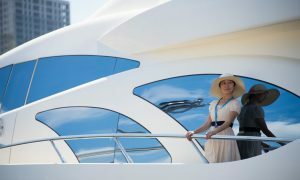 Taken together, half of the global population owned less than 1% of total wealth. In 2014 the richest 85 people across the globe shared a combined wealth of £1tn, as much as the poorest 3.5 billion of the world’s population (Fig 6). Inequalities in income and wealth on this scale cause economic instability, a range of health and social problems, and create a roadblock to the adoption of pro-environment strategies and behaviour. Social and economic inequalities tear the social fabric, undermine social cohesion and prevent nations, communities and individuals from flourishing. In 1994 the REPE Group envisaged that their mission would require the following global networking structure. They pondered on the way their objective could be attained. “How?! How on earth could 2.5 billion human beings under the age of 18 be connected in a way that would be democratic without being bureaucratic? How could we enter in the adults’ decision-making process without starting to be as boring as them? The first thing to do is to select issues not representatives. That way, we can all choose what we want to talk about, after which the question of who does the talking is less important. The first place to organize is in our schools. Each Rescue Mission will start with a conference where we would decide the issues and elect a small action council to see things get done. 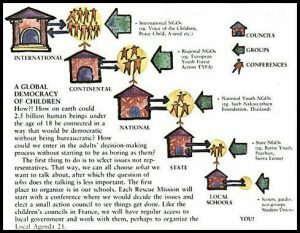 Like the children’s councils in France, we will have regular access to local government and work with them, perhaps to organize the Local Agenda 21”. 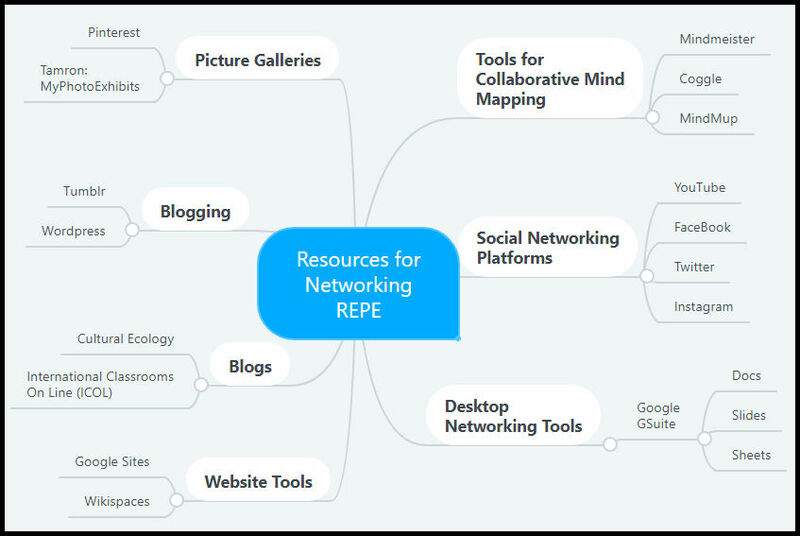 In summary, the aim of RePE was to create a new place of interaction and communication among young people across the globe. Individuals gathering locally would share their knowledge, opinions, and experiences within the common interest of rescuing Earth and its living systems from a downward spiral. The hope was that people interacting with one another would have a widespread impact on behavior through the communication of ideas and achievements for living sustainably. In a nutshell this is also the objective in establishing this virtual space for Rescue Mission on the Internet. RePE involved planning this network on a global scale, but in the early 1990s the Internet was in its infancy and there was no way such a network could spread using paper media and telephone to engage young people everywhere. Since 1994 there have been a few attempts to establish local youth groups dedicated to living sustainably. These local efforts have been organised by NGOs from the top and have relied on paper media to spread their message. Needless to say, no international movement has appeared from the bottom as was envisaged in the original RePE. One of the most persistent local responses has been Rescue Mission Planet Wales, which was launched in 1995, sponsored by industry, local government and the Countryside Council for Wales. It soon became clear that even within a small country like Wales a Rescue Mission had to make use of the Internet. To this end an educational wiki was produced by teachers to access the REPE book and provide teacher training materials. Administration of the organisation was eventually taken on by the National Museum of Wales where it was developed pragmatically as a practical way to get schools involved with tracking local climate change. Currently thousands of school scientists are taking part in this investigation, which uses the flowering of spring bulbs to determine how climate change is affecting spring flowering. Since October 2005, school scientists across Wales have been keeping weather records and noting when their flowers open, as part of this long-term study looking at the effects of temperature on spring bulbs. The data base for the project is maintained by the National Museum. Since 2017 the project has spread into England and Scotland. Despite its success as a scientific investigation, the objective is still remote from the inclusive global network of young people envisaged by the original RePE team. The world’s environmental problems are greater than the sum of those in each country. Certainly, they can no longer be dealt with purely on a nation-state basis. 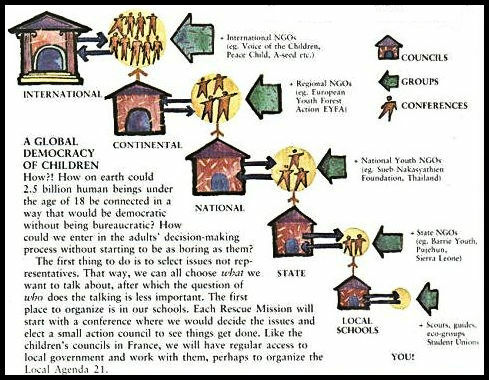 The primary role of Rescue Mission Planet Earth in 1994 was to strike at this fundamental problem by getting young people involved in recommending and lobbying specific ways for countries to cooperate to surmount sovereignty, to embrace international instruments in order to deal with global threats. Humanity has only two options on how to progress from here. We either need to drastically slow our growth or find new ways to feed, power and heal an ever expanding population. Everybody knows that we must make the transition to a low-carbon economy one way or another. Humanity reached its first billion people back in 1804. By 1927 this number had doubled, and by 1960 it was three billion. Today the global population stands at just under 7.3 billion, and it is projected to reach 9 billion by 2040 and 11 billion by 2050. The trend in population growth is happening alongside a growing trend towards isolationism. This demonstrates that the biological rhythm of history is out of harmony with human aspirations, even with its chances for survival. The challenge ahead for rescuing our planet is for future generations to transcend the self-interests of their respective nation-states so as to embrace a broader self-interest , the survival of the the greatest numbers on a threatened planet that is rapidly reaching its ecological limits. Alongside this project young people also have a role to play in shaping the lives of future generations and achieving the dream, the goal humankind has set for itself : to continuously excel and constantly achieve human betterment whilst satisfying the unfailing curiosity to know the outer universe and the inner world of creative consciousness. You are currently browsing the Cultural Ecology blog archives for August, 2017.